We drove to the end of the South Rim Road and worked our way back towards the park’s entrance along the rim. At the end of the South Rim Road is High Point. From here we had a spectacular view of the West Elk Mountains as they rose on the horizon. 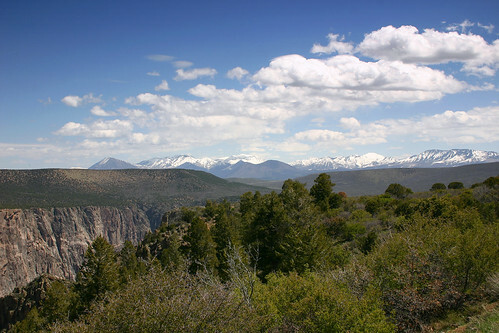 This entry was posted on April 19, 2008 at 6:08 pm and filed under Black Canyon of the Gunnison, Black Canyon of the Gunnison National Park, canyon, Colorado, High Point, National Park, vacation.